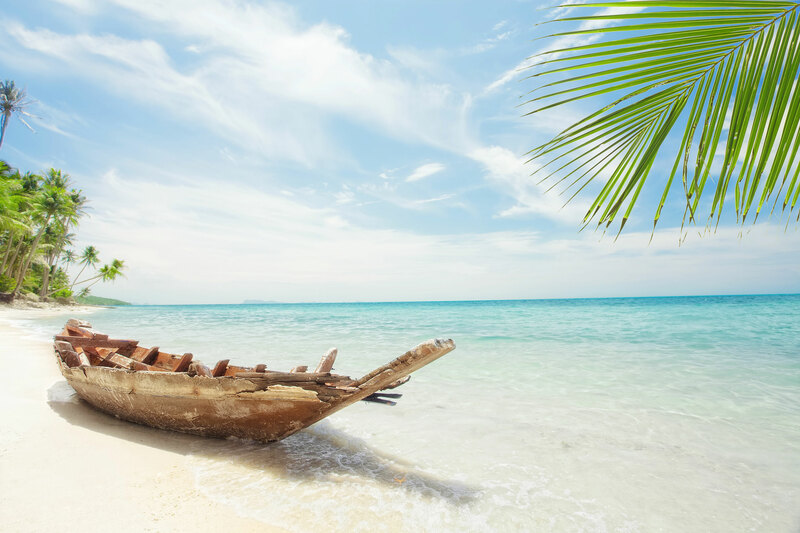 There’s something about rum that when you drink it, it transports you to another place. It takes you somewhere you’ve been before or maybe somewhere you’d like to go. Pour yourself a Whiskey Sour. What does it make you think of? Order a Dirty Martini and what place comes to mind? There’s something about rum that when you drink it, it transports you to another place. It takes you somewhere you’ve been before or maybe somewhere you’d like to go. Whenever I have a nice aged rum or a classic rum daiquiri I immediately start thinking of my last vacation, the beach, sand between my toes, or a sunset. Most rums come from places like the Caribbean, and Central or South America, but rum can be made anywhere, even Scotland. Rum has very few rules and regulations unlike making bourbon or scotch. Most regulation comes from the individual country in which the rum is made in. That being said, one thing rings true with all rum, no matter which country it’s from. Rum is always made from sugarcane or molasses distillate. The precursors of rum date back to ancient China but modern day rum origins are from sugarcane plantations of the Caribbean in the 17th century. Plantation workers discovered that molasses, a byproduct of the sugar refining process, could be fermented into alcohol. There are several ideas of where the name rum came from. The one I think makes the most sense is that it was derived from the Latin word for sugar, saccharum. In the 1600’s sugar was getting very popular around the world, so lots of Caribbean islands were growing it. Pretty soon most of them were also making rum. This is how the British Navy and pirates got their reputation for liking rum. The pirates found out about this amazing liquid being made and stored in barrels so whenever they felt like it, they’d dock at the port and steal a few barrels. This became so common that distilleries started offering free barrels of rum to any Navy ship that came into port. The pirates would see the Navy ships and stay away. Of course, that meant the Navy now had plenty of rum to drink so they started drinking less brandy which was their normal libation of choice. Rum was all very high proof back then and things sometimes got out of hand onboard so the Navy started cutting the rum with water and occasionally added lime juice to mask the harsh taste. The Navy Grog had been invented and, even better, the lime was helping fight off common diseases like scurvy. There are many styles and categories for rum. Some common rums are silver or light rum, blonde, dark, Black Strap, and Añejo. There are also many different ages for rum. Some rums are aged and then the color is filtered out. Some rums are aged as much as 30 years. Most of my favorite rums are aged a few years. I like to sip an older rum (12 to 20 years) neat or on a large cube. There are some great ones out there. Kirk and Sweeney make a 12yr, 18yr, and a 23yr. 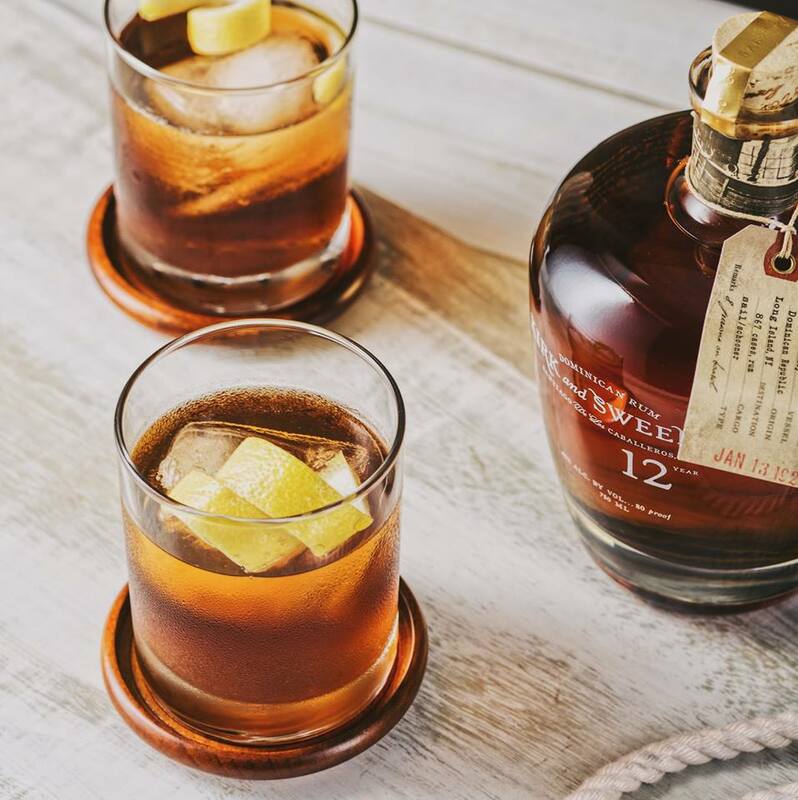 Whenever you hear a rum is as old as 23 years, it’s typically made in the Solera method, which means all of the rum isn’t that old. When Kirk and Sweeney put an age statement on the bottle they mean it. The rum is made in the Dominican Republic and it is deep in color and deep in character. I drink K&S neat with a good cigar after a big meal instead of dessert. Another favorite is Ron Abuelo from Panama. The rum traces its history back to 1908 when Panama’s first sugar mill was opened. The distillery even grows their own sugarcane, a rare thing amongst distilleries. Last but not least is a rum that sparks my memory every time I drink it, and can’t help but think of two things: a trip and a girl. Remember the first paragraph? When I was 21 I spent a month in Costa Rica. I met a beautiful girl that introduced me to this amazing rum called Ron Centenario. I never forgot it and now it’s available here. Ron Centenario has a 7yr, 12yr, 20yr, and 25yr to choose from. I use the 7 year for cocktails and the others I sip neat or on a cube. I didn’t know a lot about rum back then, but the girl did and she taught me a lot. I will never forget, after taking a sip of well-aged Centenario she said it tasted like vanilla, butterscotch, brown sugar, and sunshine. From then on I was hooked! Originally the local operation of the multinational Seagram’s in Costa Rica, the Company was founded in 1969 always with the goal of producing and distributing the highest quality alcoholic beverages. 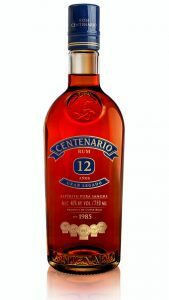 In 2003 and after many years of continued leadership in the rum category, the company adopted the name of its flagship brand and became Centenario Internacional S.A.
A special blend of rums in white oak barrels that gives it pleasant aromas of honey, red apple, and the perception of wood. Great body and mouthfeel, slightly sweet and soft, highlighting a pleasant flavor of smoked wood. A blend of mature rums. Amber color with a pleasant nose of ripe red fruits and oak. On the palate it is sweet and harmonious with reinforcement of the aromas of oak and of ripe red fruits. A result of traditional aging using the Solera method with rums from 6 up to 20 years that bring elegance, oak essence and a soft aroma of vanilla and brandy. With a great bouquet, traces of ripe apple and cherry stand out. 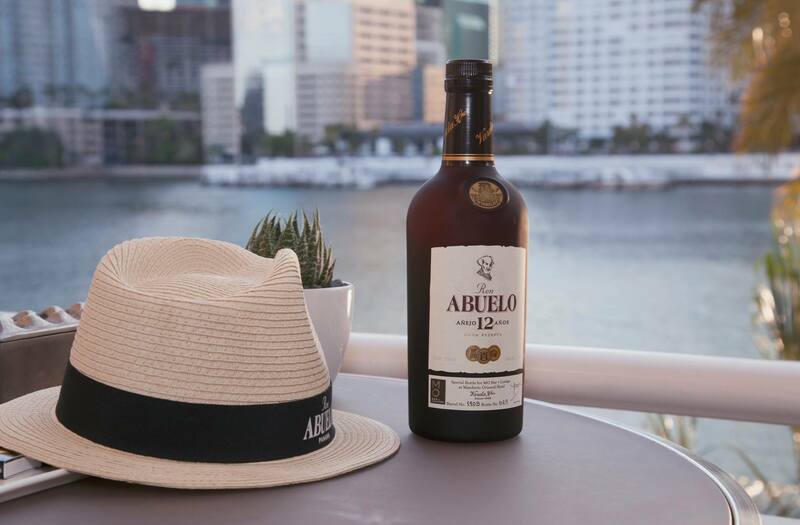 Is handcrafted under the Solera method with a blend of rums from 6 up to 25 years. Amber and mahogany in color and very aromatic with a pleasant aroma of oak. Dense body with notes of green fruits, (apple and pear), spices and a long dry finish.